“Steps to Success: An Empowerment Guide” was written to help tween and teen girls conquer the pressures of social media, gain self-confidence and develop leadership skills as they grow into young adults. Through easily understood steps, the journey to become confident and overcome the struggles of peer pressure, gain friendships, and find your “sparkle” enables young girls to develop into role models for their generation. This guide focuses on key elements that are crucial for girls as young as ten years old. Putting these carefully illustrated steps into play early on will give girls a boost of confidence as they enter each stage of young adulthood. The writing of this impressive teen author gives peer-to-peer mentorship, resulting in an instant connection and trust. “Steps to Success: An Empowerment Guide” is also devoting portions of its sales in the philanthropic arena, by seeking to support children and schools in need. For every 1 out of 6 books sold, one book will be donated in both developed and developing areas where children and schools cannot access and afford to buy Girls Above Society books. 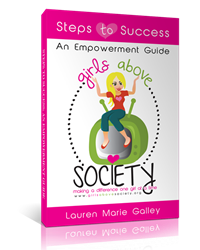 About the author: Lauren Galley, Teen Mentor, Author, CETV Host, Actress and President of Girls Above Society transitioned from her high school AP program to college at age 16 embarking on a journey driven to create an anchor of empowerment for teen girls. Launching (at age 17) Girls Above Society gives Lauren the platform of teen to teen mentorship combined with film visuals creating a social media movement. As a voice to young teen girls, Lauren hosts her own show “The Lauren Galley Show” and has been featured on Fox News, Teen Vogue, Best Ever You Radio and Talented Teens in the UK. Her writing has appeared in numerous publications such as International Talent Magazine, Talented Teens, Babble, and THINK covering issues of the many pressures young teens are facing in today’s society. 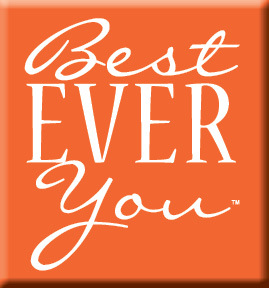 Lauren’s Free2BeYOU Series as a Youth Advocate for Free2Luv and being the Teen Commentator for Houston Family Magazine provides an extended platform reaching millions of teens throughout the world. Lauren is Chief Advisor for Best Ever You Teens.